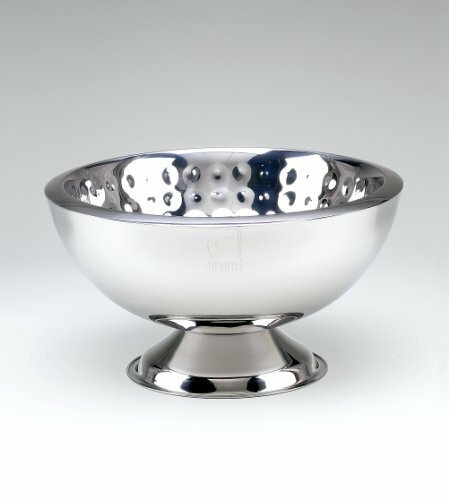 Double Wall 3-Gallon stainless steel punch bowl. Polished exterior with bolt hammered dimple interior. Designed to keep liquids cold while exterior is condensation free. Perfect for home or country club function.